If any Powerwilds are around, those carts will stack up into a turret where the Powerwilds can rain pain down on you. Swat the simians before they can make with the monkey business! 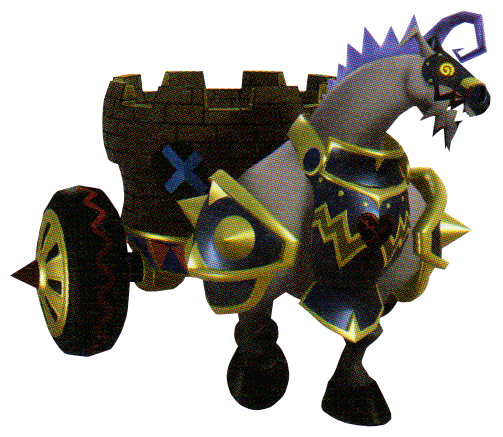 The Chaos Carriage is a Heartless that appears in Kingdom Hearts III.